I’m Dr. Ewin Neher, from Medical College of George-August-University of G&ouml;ttingen, Germany. I am also the director of the Max Planck Institute for Biophysical Chemistry. Today, it’s my great honor to be here to present the graduation ceremony of Central South University in China. On this exciting day, as the Nobel laureate and a professor from a famous university in Germany, I would like to give some advice for you. First, you are going to graduate from here today, which means you have finished the basic training of science and had a certain foundation, however, science never has the end. Graduation only means that your scientific road has just begun. Second, there is no national border in science. As you are young, I hope you can visit world famous laboratories as more as you can, and follow the world-famous tutors for further studies, so as to enlarge your global vision and have the mind of international cooperation. In this day and age, only cooperation can make mutual benefits. As a saying goes in Africa, “f you walk alone, you can go faster, but if three people walk together, they can go further”. I hope you can not only acquire knowledge from your tutors in China, but also learn valuable experience modestly from international peers if possible. Third, science is boring and the road to be the Nobel laureate is long. Real success belongs to the scientists who take science as a lifelong partner. I hope you will not be eager for quick success and instant benefits, and you can tolerate the loneliness engaged in scientific researches. I believe in an old Chinese saying “God help those who help themselves”. I believe that your arduous efforts will be rewarded. 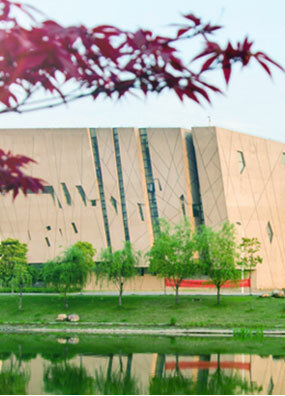 Central South University is a famous Chinese university. It has trained many famous scientists. Hunan province also raised the great man of the world, Chairman Mao. You should be proud of Central South University and take pride in living in Hunan province. China, as well as Germany, is a great nation of the world. The 21st Century is also the century of China, Germany is willing to carry out extensive cooperation with China in economy, science and technology, especially in the field of education. I hope you can benefit from this valuable historical opportunity. I sincerely wish that a Nobel laureate will be trained in Central South University in the future. Thanks for your patience and welcome to Germany to visit University of G&ouml;ttingen.